In a major development, the Supreme Court today issued notice to the Centre and Election Commission on a petition filed by Bahujan Samaj Party seeking immediate introduction of a paper trail with every EVM voting to ensure there is no tampering with the machine. A bench headed by Justice J Chelameswar said the matter will be next heard on May 8. Senior advocate P Chidambaram who appeared for BSP alleged large scale tampering of EVMs during recent round of assembly elections and said not only BSP but also parties like Congress and AAP have also complained about it. Senior lawyers Kapil Sibal and A M Singhvi submitted they will be filing intervention application on behalf of Congress. Chidambaram argued that paper trails have not been introduced despite a firm order of the Supreme Court in April 2013. He said there was no other way a voter could verify that the vote has gone to the symbol and person he intended. "It is indispensible for free and fair elections and restore confidence of voters", he argued. He submitted that EC wrote ten letters to Centre in 2014 for funds to introduce paper trail but nothing has been done yet. Chidambaram argued: "No technology is fool proof ..and technology us advancing..when one invents something the other finds ways to tamper with it"
It is to be noted that on March 24 also Supreme Court issued notice to the Election Commissioin on a Public interest litigation which sought a probe into efficacy of electronic voting machines (EVMs) and their correctness in recording votes. The bench headed by chief justice J S Khehar however had refused to issue notice to CBI even though the Sharma had sought a CBI probe intoEVM functioning. 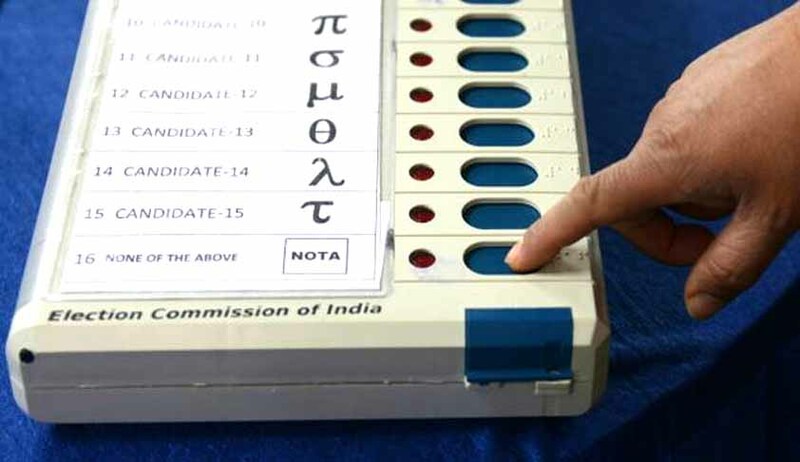 That plea had sought a probe into allegations of alleged tampering of Electronic Voting Machines (EVMs) during polls, including the recent assembly elections in five states. Sharma had sought a direction to the Election Commission and the Centre for probe into the allegations of EVM tampering and its possibility. The plea sought examination of the quality, software/ malware and hacking effect in the EVMs from a reliable electronic lab/scientist and software expert and to file their report before this court for further action/prosecution. In his PIL, Sharma also sought a direction to the Centre for registering an FIR to investigate the alleged tempering of EVMs for vested interest by the political party and to file their report before the apex court. The petitioner referred to allegations of EVM tampering in the recent assembly elections in five states and Maharashtra civic polls. The PIL claimed that it was admitted by the poll panel itself that EVMs are tamper proof only until their technical, mechanical and software details remain a secret. These details can be detected via reverse engineering by any expert. Wireless device/software can be prepared via reverse engineering, and with their help voting records can be changed in any location and at any time, the plea claimed.